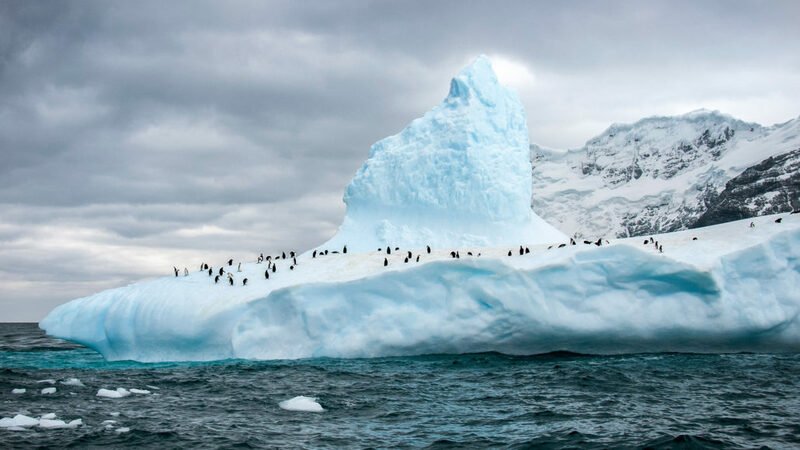 Encounter some of the region’s unique wildlife and awe-inspiring scenery while setting foot on the Antarctic continent. Attempt two shore landings per day (weather permitting) and encounter gentoo, chinstrap, and Adélie penguin rookeries; Weddell, crabeater, and leopard seals; and orca, humpback, and minke whales in the cold Antarctic waters. This is what we’ve all been waiting for – a chance to step foot on the Great White Continent! 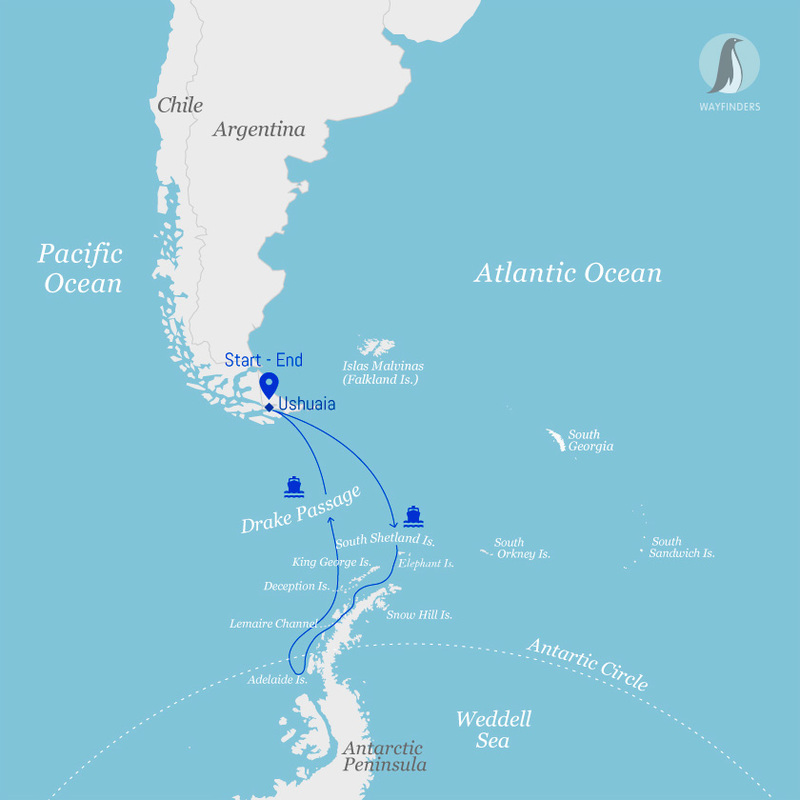 Over the next four days the Expedition will navigate southwards making stops in the South Shetland Islands then through the Bransfield Strait and to the Antarctic Peninsula. Our goal is to attempt two excursions per day while navigating through the area but our itinerary and daily schedule will be based on the local weather and ice conditions. The peninsula also has a remarkable human history; during the voyage, learn about some of the most important and dramatic expeditions to this remote corner of the world. With a close eye on weather conditions, continue southward along the western coast of the Antarctic Peninsula. Passing colossal icebergs and countless colonies of penguins, push on with the goal in mind – crossing the Antarctic Polar Circle. Few travelers have ventured this far south, but with our fully equipped ice-strengthened vessel and favourable sea conditions, the Expedition can access many remote locations other ships just can’t reach.